One of the main debates in the coffee realm is the difference between a latte and a flat white. You would be surprised, but many people who claim to be coffee connoisseurs confuse these two drinks. Some even say that a flat white is a cappuccino that has less froth, or that it is a small latte. We find this to be inexcusable, especially for coffee addicts enthusiasts like us. So, we are here to eliminate your doubts (if any). We consider these drinks to be unique and they should be treated as such. 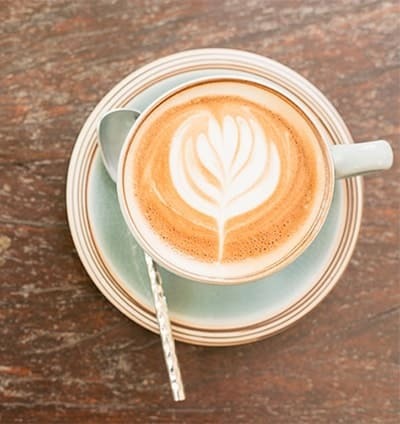 Which are the main distinctions between a flat white and a latte? Let’s see them in the table below. 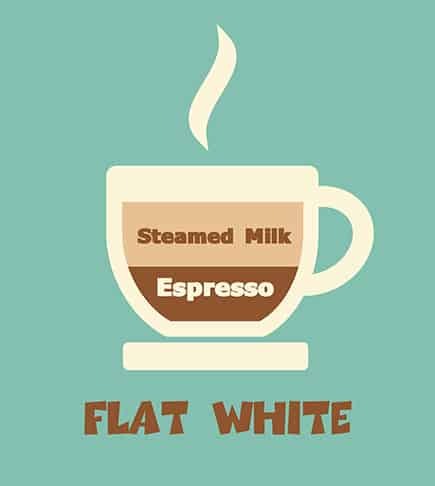 The main elements that a flat white and a latte have in common are espresso and textured milk. What makes them entirely different is the way in which they are prepared, the training of the barista and how they are served. The ratio of milk and foam is what makes these drinks distinct. The quantity of espresso remains unchanged, in most cases. Leaving that aside, a flat white represents a small, yet dense and textured espresso-milk beverage. It is a rich and concentrated version of espresso blended with thick steamed milk. As for the espresso component in a flat white, it is stronger than in a latte. Why is that? Simply put: the amount of water used is slightly smaller than in the case of a latte. It consists of two ristretto shots of espresso. Only the thought of this makes me crave a flavorful flat white! So, how is a flat white prepared? The barista freely pours micro-foamed, velvety whole milk into the cup, without using a spoon or any other utensil. The finite result is a rich, textured and aromatic drink. 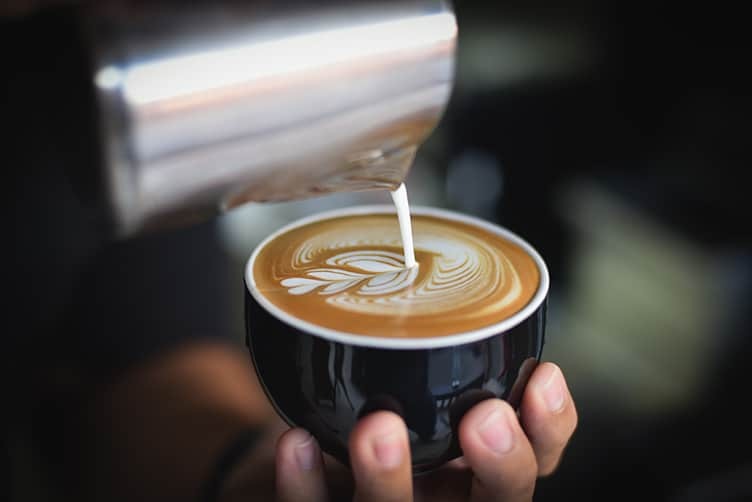 The fundamental distinction between a latte and a flat white is that the latter has a stronger coffee flavor, being featured by a velvety smooth finish. Moreover, a flat white is typically served in a 165 ml tulip cup. So, it is much smaller than a latte or cappuccino. Whenever I enjoy a flat white, I feel a strong coffee flavor accompanied by that soft feel. 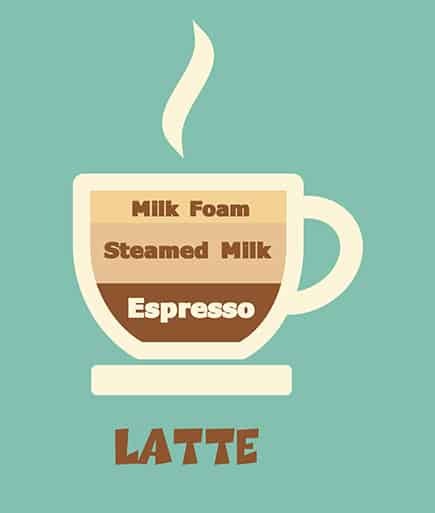 We could say that a latte is a dense, balanced milk coffee beverage. It embodies one-third espresso, and two-thirds steamed milk, with some or no foam. As the name already pinpoints, this drink contains more milk. What is the Caloric Content? It varies from 130 to 290 calories, depending on what you add to it. The preparation of a latte differs from that of a flat white, as it is expected. The barista uses a spoon to restrict the froth. In the meantime, he pours steamed milk almost to the top. Afterward, he adds some froth for decoration. The combination of milk and espresso form a highly flavored blend. Because of the notable presence of steamed milk, a latte isn’t a strong coffee. That doesn’t make it less delicious, though, if you were to ask me. It is more like a milky coffee that embodies a broad taste pallet. As previously mentioned, espresso is the foundation ingredient for both flat whites and lattes. 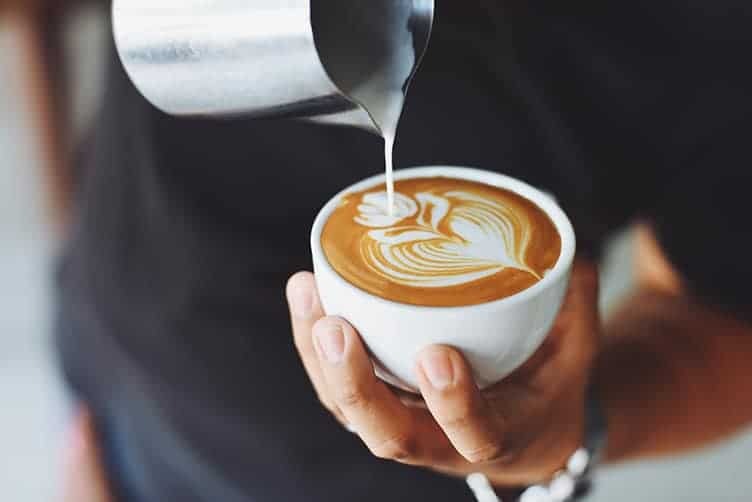 Still, what makes a flat white entirely distinct from a latte is the way in which the barista prepares and pours the milk. The proportions are also important. The main distinctions between drinks emerge when steaming is completed, and it’s high time to pour the milk. An experienced barista will know how to swirl the milk as in to create a velvet micro-foam. By stretching the milk through steaming, the large bubbles or froth are eliminated. The texture and temperature of the micro-foam are crucial. The rewards are sweet when that perfect texture and temperature are reached. The barista should add the milk to the coffee as to prevent interfering with the structure of the drink. This way, the crema and oils arrive at the top of the coffee. It is a sweet, orange caramelized coffee component that inevitably rises to the surface of an espresso. The perfect flat white will impeccably blend the milk and crema, resulting in those attractive designs. You know what I’m referring to: those catchy models you see all over Instagram. There is only one way to find out which drink you prefer best (a flat white or a latte), and that is through testing. The ultimate goal is to find what appeals best to your taste. Coffee drinking is all about pampering your taste buds, experimenting and expressing with different aromas. At least that’s what coffee means to me: sheer delight. As opposed to focusing entirely on the technical name of the drink you’re having, go ahead and order what you enjoy most. As for my definition of a flat white: it feels like drinking an espresso, only yummier and more aromatic. What is your personal definition of a flat white? And which of the two drinks do you prefer?